Instantly downloadable sheet music by Leo Robin for guitar solo of MEDIUM skill level. Alle Notenausgaben von If I Should Lose You zum Herunterladen bei VirtualSheetMusic. Alle Noten von Leo Robin zum Herunterladen bei VirtualSheetMusic. Instantly downloadable sheet music by Leo Robin for piano solo of MEDIUM skill level. Alle Notenausgaben von Diamonds Are A Girl`s Best Friend zum Herunterladen bei VirtualSheetMusic. Instantly downloadable sheet music by Leo Robin for piano solo of EASY skill level. Alle Notenausgaben von June In January zum Herunterladen bei VirtualSheetMusic. 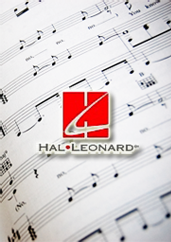 Alle Notenausgaben von Up With The Lark zum Herunterladen bei VirtualSheetMusic. Instantly downloadable sheet music by Leo Robin for voice and other instruments (Bass Clef Instruments) of MEDIUM skill level. Alle Notenausgaben von Thanks For The Memory zum Herunterladen bei VirtualSheetMusic. Instantly downloadable sheet music by Leo Robin for voice and other instruments (Eb Instruments) of MEDIUM skill level. Instantly downloadable sheet music by Leo Robin for voice and other instruments (Bb Instruments) of MEDIUM skill level. Instantly downloadable sheet music by Leo Robin for voice and other instruments (Vocal Volume 1) of MEDIUM skill level. Instantly downloadable sheet music by Leo Robin for voice and other instruments (C Instruments) of MEDIUM skill level. Alle Notenausgaben von For Every Man There`s A Woman zum Herunterladen bei VirtualSheetMusic. Alle Notenausgaben von Hooray For Love zum Herunterladen bei VirtualSheetMusic. Instantly downloadable sheet music by Leo Robin for voice and other instruments (Vocal Volume 2) of MEDIUM skill level. Alle Notenausgaben von In Love In Vain zum Herunterladen bei VirtualSheetMusic. Alle Notenausgaben von Bye Bye Baby zum Herunterladen bei VirtualSheetMusic. Instantly downloadable sheet music by Leo Robin for voice and other instruments of MEDIUM skill level. Instantly downloadable sheet music by Leo Robin for guitar of MEDIUM skill level.